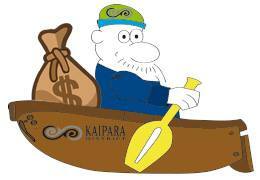 Embattled Kaipara ratepayers face a staggering 42 per cent rates rise over the next 10 years as the Kaipara District Council tries to reduce its multi-million debt. But a ratepayer group doesn't believe the rates hike will balance the books and is calling on the council to open its books to public scrutiny. An average rates rise of 3.6 per cent annually for the next 10 years plus a new targeted forestry levy to fund road maintenance are two proposals by the Kaipara District Council, contained in its long-term plan. The council has released its consultation document for the next long-term plan 2015/25 in which it talks about reducing its debt from the current $77 million to $60 million over the next decade. A large chunk of the debt is due to the controversial Mangawhai wastewater project which went from an estimated $35.6 million to $57.7 million. The reduction in debt would allow the council to increase spending on fixing its ageing infrastructure, mainly old pipes, the council says in the plan. Chairman of the council's Government-appointed commissioners John Robertson said the proposal is for general rates to increase on average annually by between 3.12 per cent and residential about 3.69 per cent on top of a new targeted rate for council-owned roads used by logging trucks. A yearly rate rise of 3.6 per cent will compound out to an increase of 42.43 per cent over the 10 years. The forestry rate will be levied to 119 forestry owners for six years and will rake in $390,000 each year. Mr Robertson defended the proposal to increase rates by that level. "The local government cost over 10 years has increased higher than the CPI (Consumer Price Index) and our rates increase is comparative to other councils." Mr Robertson said roads maintenance would again chew a huge chunk of the council revenue or 50 per cent of the general rate. The council, he said, would only do work that attracted a subsidy from the New Zealand Transport Agency (NZTA) which meant road sealing, which the government did not fund, would be paid for using Development Contributions or funded by residents. He said not imposing the forestry levy would mean letting roads deteriorate over the next five to six years. Mangawhai Ratepayers and Residents' Association chairman Bruce Rogan said the council could not balance its books with a rates' increase of that level. "A considerable amount of their debt is from Development Contributions which they're not going to get because a recent legislation severely restricts the amounts councils could collect." The association has called for the council to open its books and let the public know about its true financial position. Reacting to the new forestry levy, Hancock Forest Management said it had recently received the district plan which it was yet to fully analyse. The company manages about 10,500ha of forest in Kaipara. Mr Robertson has urged the public for their feedback on the long-term plan, saying many challenges lay ahead towards building a great future in the district. "The council is in good shape for facing our future together, with a stable financial base, and many of the historical problems put behind us, although there is more to do," he said. Public meetings to discuss the long-term plan are planned throughout the district from March 1. Public submissions on the LTCCP close at 5pm on March 27.